The Fassi Group, through the French holding company of Fassi France and Marrel, has taken control of ATN, leader in the manufacture of self-propelled aerial work platforms on tracks or wheels driven by electric or diesel motors. 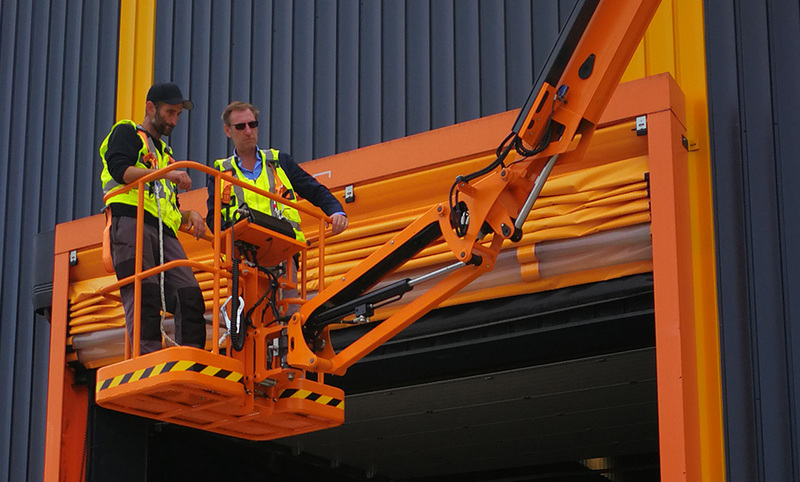 ATN, French manufacturer of self-propelled aerial work platforms, has developed a range of products designed above all to answer the requirements of rental companies, a particularly successful market in France. The quality and robustness of the materials used, guarantee a long service life even in extreme work conditions, while the engineering office continues to constantly improve and enlarge the product range, without neglecting a design making maintenance operations simple and easy, to maximize profitability for its customers. With the acquisition of ATN, the Fassi Group continues its expansion in all domains of lifting equipment, and in particular in the sector of stand-alone machines, that is, not mounted on a truck. On this matter ATN will become the natural partner of the Italian company Jekko, already within the Fassi Group, to offer a complete range of different solutions on an ever growing market. The French holding CTELM has sealed the acquisition of ATN at the end of July 2018, holding totally controlled by Fassi Group and managed by Roger Boutonnet, who already controls Fassi France and Marrel. Giovanni FASSI, Chairman of FASSI Group, takes control of the ATN platforms under Julien’s expert eye.